After a bad auto accident, the last thing anyone wants is to worry about the insurance hounds, the medical records and anything else but healing. 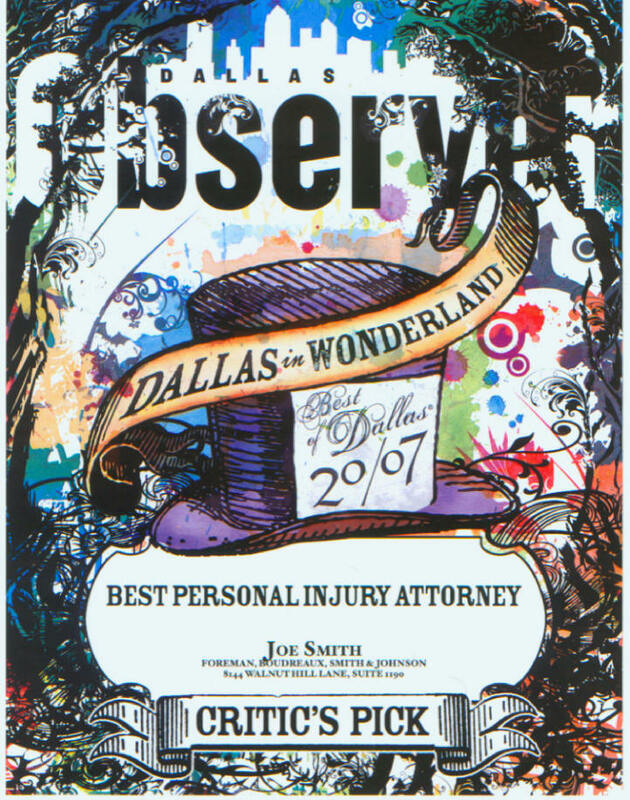 That's where personal injury law guru Joe Smith comes in. The jovial family man has a naturally comforting nature that instantly eases in stressful times. And here's something that proves he's a trustworthy soul: He'll tell you honestly if you don't need his services. Hand over your worries and concentrate on getting over that whiplash while Smith and his team tackle the bureaucracies and get you the settlement to pay the bills.